Sony Xperia T3 has been launched at unknown price. The new Xperia T-3 D5103 runs on Android 4.4.2 KitKat and has some nice specifications. The features of the Sony D1502 D5106 T 3 are better than Motorola Moto E ( VS) , Xperia C and T2. The new T3 will compete with recently launched Samsung Galaxy Grand 2, Z1, LG Volt and SP. It comes in Three variants : 3G HSPA+ D-5102 and 4G D-5103 + D5106. It is very slim at 7mm thickness and weighs 148 grams. Gionee Elife S5.5 is still world’s slimmest smartphone ever. It has 5.3inch Triluminos display with Mobile Bravia Engine 2 having 1280 x 720 pixels resolution. It gains the strength from 1.4GHz 4-core Snapdragon 400 CPU paired with 1GB of RAM. The Xperia T3 D 5106 is accomplished with 8-megapixel AF primary camera and a 1.1MP secondary shooter. It is a single SIM phone and has 8 gigs of internal storage. There is 2500 mAh battery to power the handset, which offers 190 hours of standby time and 8 hours of talktime. The phone is capable of recording 1080p FHD videos. It offers 4G LTE, 3G, Bluetooth 4.0, WiFi a/b/g/n, micro USB with OTG, NFC & GPS connectivity options. There is Motion Sensor, Proximity Sensor, secondary microphone for noise cancellation and to enhance the user experience. Company would launch the Dual SIM variant of the phone. 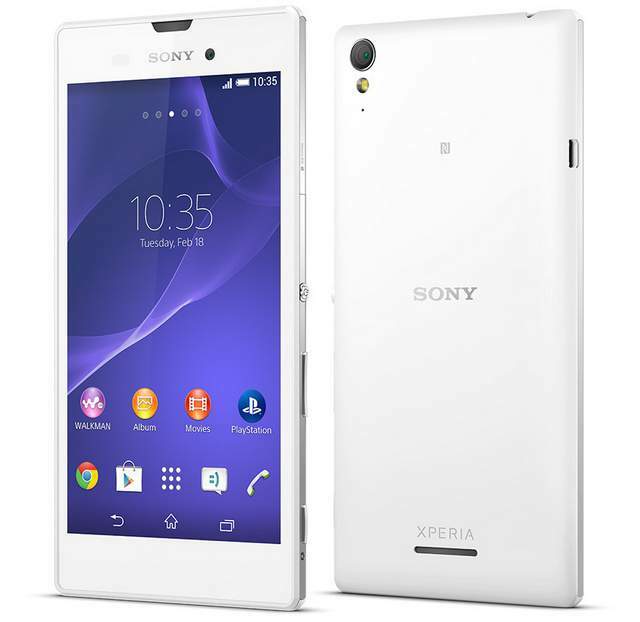 The Xperia T3 is available in White, Black, Blue and Purple colors. Company would soon launch the protective Flip cover for it. It would be priced under US $320 off contract ( RS 20,000 in India).